Well I suppose it’s better than half a life, or an empty life, and yes, a boat does have two halves. We are now spending just over half of our time on the boat and the remainder back at the park home in Warton. It’s a bit frustrating to be honest. The time spent at the marina is everything we had hoped for; we are surrounded by nature and wildlife, our neighbours are lovely and always helpful and we are enjoying making the boat our own and our home. By contrast, back in Warton, we find ourselves living in the shell of our former dwelling as we gradually divest it of our belongings. We are trying to find a balance of keeping it looking lived in to engage prospective buyers whilst taking sufficient of our chattels to the boat to make that our cosy home. It’s a balance that results in us always needing the one thing that is in the other place. Far too many of our conversations start with the phrase, ‘did we bring’….., and usually the answer is ‘no’. Hopefully we will sell the park home soon or at least Gill will find work in Rufford and we can make more of a definite move to our new life afloat. In the mean time……. I like being somewhere new and undiscovered and at the moment that includes the boat, the marina and the surrounding area. We seem to flit between getting to know our neighbours, discovering new and beautiful footpaths to explore and pulling apart various bits of the boat to work out where and how, we are going to keep everything when we do eventually get it on board. And as if that isn’t enough to keep us occupied there is always the distraction of what has turned out to be a fantastic local hostelry in the village. Great food, great beer and, did I mention the Ukulele playing? We have discovered a lovely five mile walk that takes us along the towpath and country lanes to Mere Sands Wood wildlife reserve and back to the village and we have already had close encounters with Kingfishers, Water Voles and Tawny Owls all within a mile or two of our new home. It’s fabulous. Whilst we have been roundly entertained by the local fauna, I have been doing my best to entertain the other residents of the marina by moving our boat about. Boat movements aren’t that common now that winter is upon us so whenever the throaty throb of a diesel engine alerts everyone to some activity they all come out to watch. Particularly if the boat in question belongs to a complete novice like myself. Mutterings of “this should be funny” could be heard from all corners of the water as Gill and I prepared to leave our mooring. Popping over to the service point to fill up with diesel seemed like a simple enough operation to me so I thought I would spice it up a little by turning the boat around at the same time. We had originally moored with the pointy bit towards the land and having cleaned half the boat from our jetty we needed to swap it about to get at the other side. We managed the re-fuelling easily enough and then I began to reverse vaguely back towards mooring point number 98 with something I had read occupying my mind: “narrow boats are notoriously difficult to steer backwards”. I can now vouch for that, they are. It felt as if I was trying to coax fifty seven feet of seven foot wide wriggling python into an eight foot wide slot that I could swear was moving. By the time I managed to ‘engage’ with the end of our jetty at the third attempt the spectators standing on the other boats were probably wishing they had made a sandwich and flask of tea for the occasion. I think I was supposed to ‘drive’ our beast gently backwards along our berth but in reality Gill and I just dragged it there using the ropes. It was more like a round of The World’s Strongest Man (and woman) than a lesson in boat handling but never mind, I’m sure everybody but us enjoyed it. Are you sure it will go in there? The next challenge is to take the boat down the canal towards Sollom where there is supposedly a winding hole where we can turn around before heading back. We wandered down there this morning to take a look and the ‘hole’ looks about two inches wider than our boat is long. That should be interesting I thought. Perhaps we should go under the cover of darkness for our first attempt. First of all, apologies for the complete lack of blogging over the last few weeks and thank you to those of you who noticed my absence. (Both of you) I’m very flattered. The plain truth is, I haven’t had much to write about and even less motivation to try. I think that despite having found work and a nice place to live, we are both still a bit down in the dumps, wondering where the next adventure will come from and when. Life has become too routine in precisely the way that I promised myself it wouldn’t following our big trip last year. You know that feeling when you leave the house and you just know that something isn’t quite right but you don’t know what. Then half an hour later you get to work and find that you’ve left your phone at home. Well it’s a bit like that but on a bigger scale. Like we are getting things sorted but there is some undefined element that is missing. Yesterday however, I think we may have made some progress in finding that missing link. If was a funny sort of day all round really. We only had plans to go for a gentle walk but all the best plans end up in tatters don’t they? We started by making an offer on a static home on a residential park close to where we live. Five hours later the offer was rejected but what happened in between was amazing. We sailed somebody else’s narrow boat down a canal, made two new friends, viewed another boat that was for sale and considered living on it and finally drove home with our heads whirling and the possibility of a whole new life ahead of us. Let me explain. One of the consequences of having so much freedom last year is that we are both finding it rather difficult to settle back down. We don’t want to go off and do the same or similar type of trip again, at least not at the moment, but at the same time we find ourselves doing a lot of foot scratching. (No it’s not a fungal infection, just a bit of wanderlust.) My job working for The Canal and River Trust as a fund raiser has brought me into contact with a lot of people who live on board narrow boats and I think I may have infected Gill with my enthusiasm for the lifestyle. We have been doing a lot of walking on the tow paths and narrow boat envy doesn’t take long to take hold. Some of them are just beautiful. At about the same time we have been considering our financial future, retirement and what we want from the remainder of whatever allotted time we have left. With this in mind when a cheap property came up for sale on a local residential park we started to consider the possibility of getting out of rented accommodation and taking a big step towards making work optional rather than essential. Ok, it wasn’t a boat and nor was it on a canal but it was cheap and it was narrow, so it kind of fitted the bill. 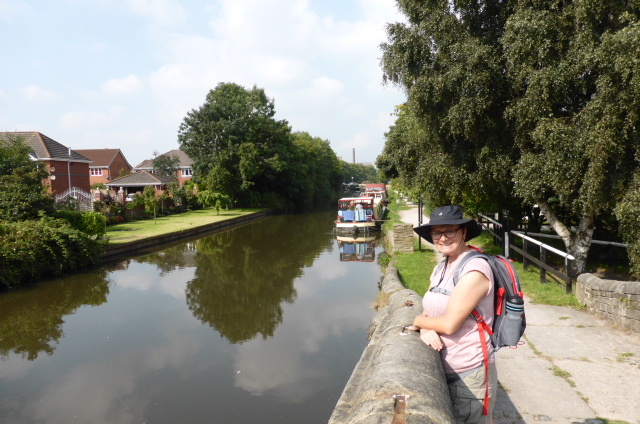 After putting in a cheeky offer on the property we went off to take a stroll along the Leeds Liverpool canal on what turned out to be a glorious sunny day but not quite as forecast. A couple of miles down the tow path we came across Carol, sitting in the sun, alongside a narrow boat and looking more chilled than a frozen chilli. It turned out that Carol and her partner Roy had sold their house last year, bought the boat and moved onto it and had been in a state of euphoric relaxation ever since. 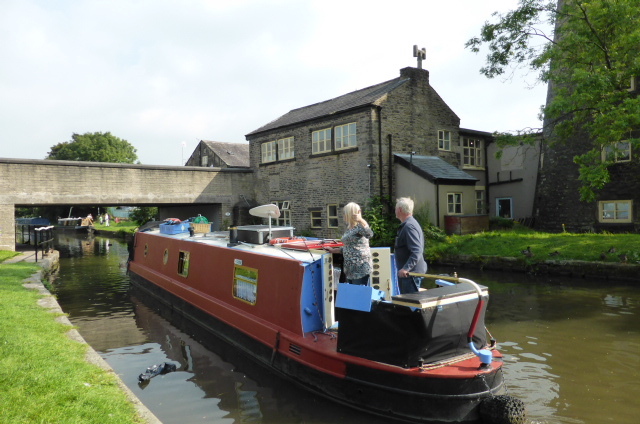 We found ourselves pouring out our life stories, desires and dreams to each other and before we knew it we were sailing down the canal towards Parbold, our original walking destination. We had a good look around the boat, had a go at sailing it without going aground or destroying any other boats, spotted a kingfisher and generally fell in love with the whole business. 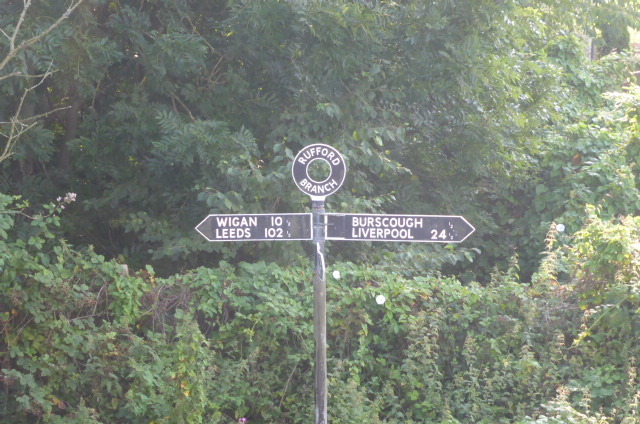 After saying goodbye to our new found friends we began the walk back to Burscough unexpectedly discussing chemical toilets and boat licences. A phone call from the estate agent shattered the park home dream for now but by then it was only one option and we were already moving on to other possibilities. Earlier in the walk we had passed a boat that was for sale and after our brief but wildly successful careers as skippers we now looked on it in a completely different light. The owner kindly showed us round and in our imaginations we were already managing locks, fishing for our supper and toasting the moon reflected in the perfect mirror of a midnight canal. All of a sudden it feels like the rut we were in danger of getting stuck in is full of opening doors. Over the last forty eight hours we have discussed other park homes, motor homes and narrow boats. Maybe we are trying to find a compromise somewhere between the tent and a house, I don’t know. Whatever the motivation it’s exciting to experience all these potential options opening up before us like a glorious flower blooming. I do believe that we are heading for our next adventure. We might not know what it will be yet but there is a tangible feeling of it’s inevitability. There is a bright light at the end of the tunnel. It might be the daylight at the end of rather dull period or it may be the light of a narrow boat coming towards us. It’s the not knowing that makes it exciting.